Back in late February, I attended the CTMH Regional Celebration in Phoenix. It's kind of a mini-convention for consultants. We made some really cute cards at the creative sessions and one of them was this birthday card. The card layout is from Originals and is called Center Charms. 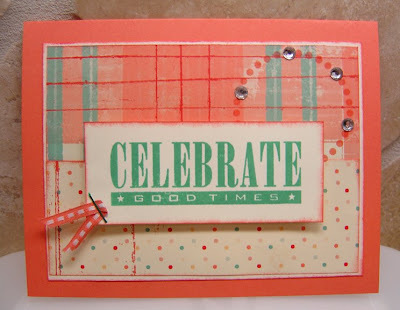 I liked how the CTMH staff dressed it up by stamping directly on the B&T paper, adding sparkles, etc. 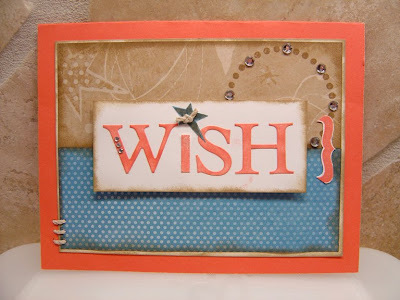 I copied the design for one of my recent card workshops. 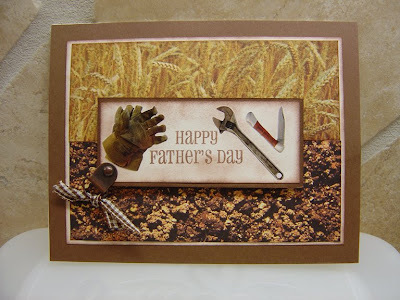 I even used it for a Father's Day card for my Dad (minus the stamping and sparkles). Here it is again as a boy birthday card. So versatile! All I did was change up the papers a little bit for each card. What great cards. Are you going to the Portland Regional Celebration? I hope so, because I will be there. No, I don't think I'll be traveling to Portland for Regionals. I wish I had signed up for Leadership, but alas... made other plans at that time. See you next summer at Convention for sure! Hi Janelle!! What are the details on that fabulous manly card? I don't recognize the paper or embelishments, are those stamps?? The Father's Day card uses some paper that I bought at either Michael's or Hobby Lobby (can't recall which one), and a page of John Deere stickers. I've used up a lot of the stickers that say John Deere on them, and the ones left were the tools, gloves, etc. Perfect for my Dad! I think the ribbon is from Hobby Lobby and is tied to a CTMH photo hanger. "Happy Father's Day" was stamped with the CTMH set Say it in Style. Really like the second one - the "copied" one that you used for your card workshop. The colors are so bright and cheery. 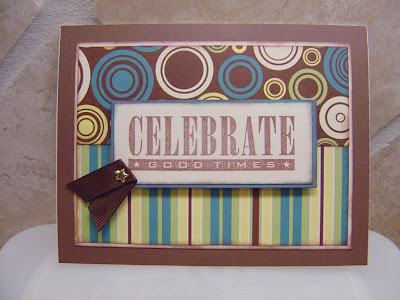 And it's so great to see how versatile the card patterns can be by changing papers/stamps/colors.